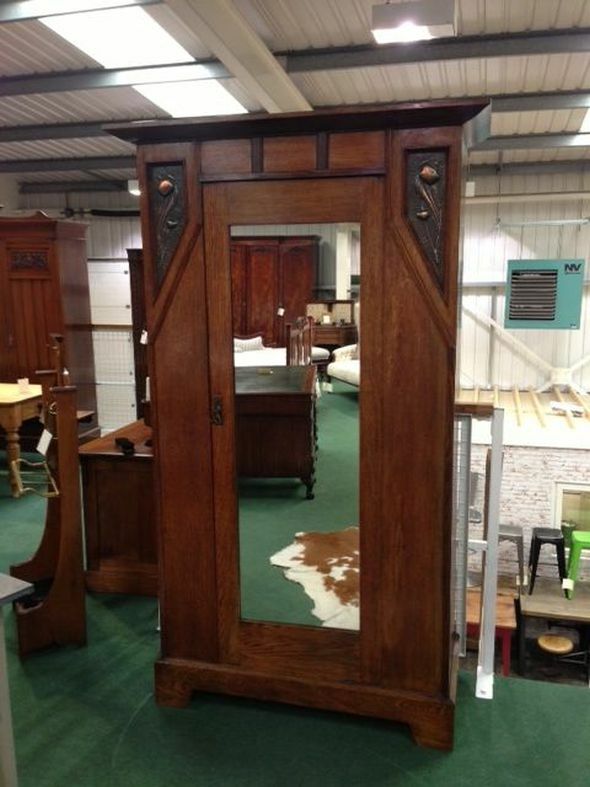 A magnificent late 19th Century solid oak arts and crafts wardrobe; featuring a large mirror centre door flanked by two hand beaten copper panels which is typical of the arts and crafts period. With its plain and simple lines, this wardrobe makes a fantastic feature in any period property. The wardrobe does break down into two separate pieces for ease of transportation and reassembly. Please be aware that the bulk of this wardrobe comes in one section, so please contact us if access is an issue. We do offer a two man delivery team who are skilled in taking items like this into people’s houses.